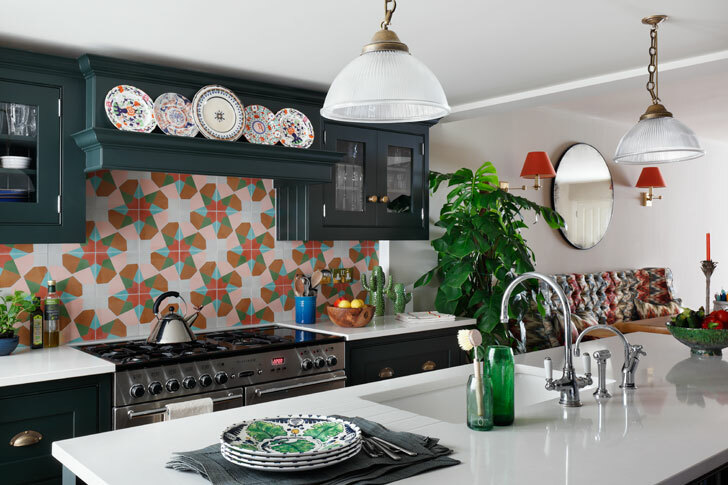 As interior design moves away from greys and beige towards a more colourful approach, we find that clients increasingly want to introduce a more vibrant scheme into their homes but don’t know how to go about it. We advise them to talk it through with one of our interior designers, who will be able help them decide how to use colour most effectively in their home. 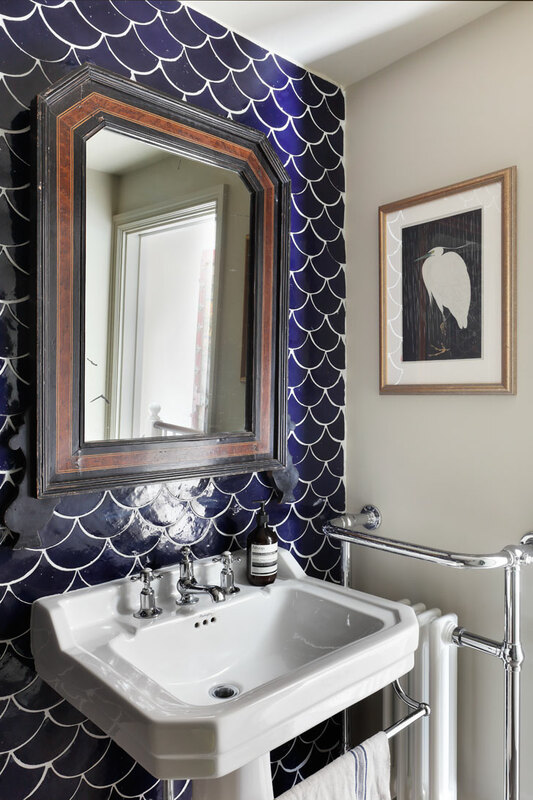 With this knowledge, Tiffany was able to confidently source colourful tiles, fittings and soft furnishings, and to be playful with pattern. By judicious use of both and by keeping walls plain, the result was a rich, textured, yet considered, interior. We asked Tiffany to tell us more about how she introduces colour it into an interior scheme and to talk through her design process. Other clients come to the meeting with already formed opinions. 'The owner of the Notting Hill house had really good taste and a good understanding of what he liked and what he didn't,' says Tiffany. 'When we had the Design Analysis Meeting with him, this became clear and as a result we were able to progress the design work quickly." 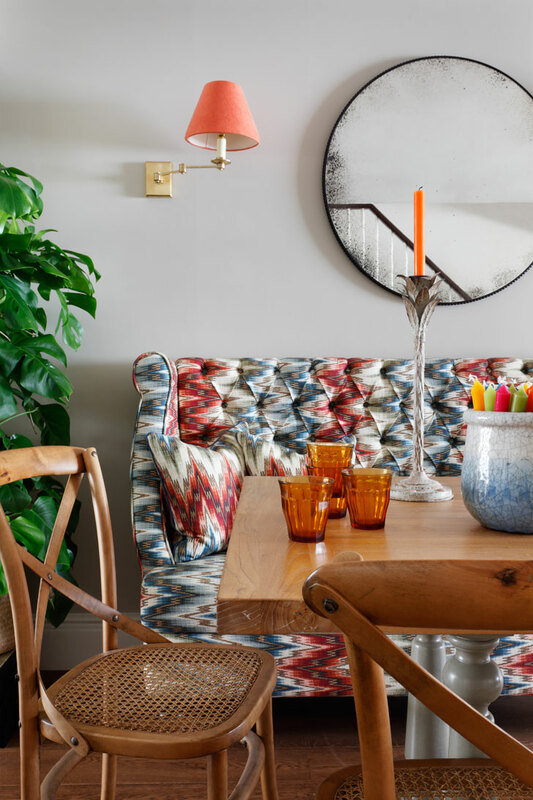 The colourful, patterned sofa in the dining area is complemented by neutral walls. And if you want to create a really cocooning space – in a bedroom, for example – Tiffany suggests painting walls and ceiling the same dark colour. 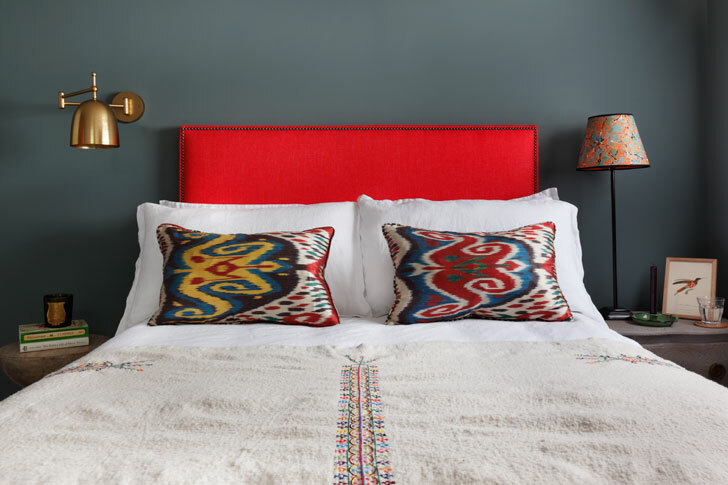 If this has inspired you to talk to one of our designers about a new colourful scheme for your home, contact us and we'll match you with the right one for your project.